Every Mom knows that meal planning is a hassle. If I wasn’t writing this, I would be saying, “Yeah Right!”, BUT I am here to tell you that it is true. You can tackle meal planning without the hassle. How is this possible? A meal service plan of course, but not just any service plan…the BEST I have ever found! I don’t say that lightly. I have tried many different meal service plans, paid and free. After trying so many, I have fallen in LOVE with this one. What is so great about this one compared to others? This amazing meal plan covers all meals including a daily snack, is customizable, family friendly, affordable, do-able and a HUGE time saver! Legal Stuff The links below are affiliate links, which means I will earn a commission if you choose to make a purchase. Your purchase will cost the same, with or without using these links. I only recommend products I truly trust and have had experience with. Thank you for choosing to support our blog! Super Healthy Kids has done so much for our family. Not only by saving me time planning out our meals, but in the grocery store, and in the kitchen when I am actually cooking. 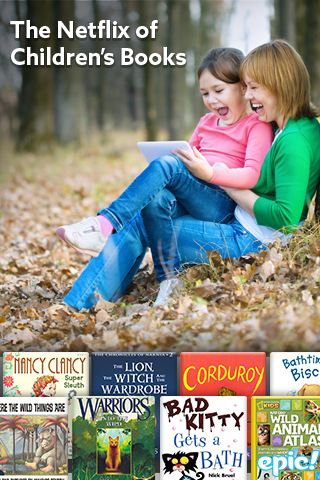 They have done such a great job knowing what us Moms need, including some things we may not have even thought about before. So how did I find this company? Well, I was just nearing the end of my yearly subscription to another meal service plan and just wasn’t completely satisfied with what they offered. The plan I had covered both lunch and dinner, the recipes and the shopping lists for each week. If I was going to switch to something else, it would have to blow me away, because so far that service was the best I had found. Just like I mentioned in the intro, I needed a plan that was family friendly for my picky eaters, affordable in both the grocery store and the service plan. It needed to cover both dinner and lunch, since we homeschool, and it needed to have healthy recipes that didn’t take forever to cook. So I went to work scouring the internet for different plans, downloading sample menus and after many hours looking into this, I found Super Healthy Kids. So what does Super Healthy Kids have that others don’t? Lots of things. All Plans covers Breakfast, Lunch, Snack and Dinner. Customizable Weekly Menu. If we don’t like a recipe, we just replace it from their over 3,000 recipe library, or leave that meal blank for when we want to eat out. How about leftovers? They even have a leftovers “meal” that can be planned so the fridge is cleaned out before we fill it up again with more fresh foods. Kid Friendly recipes so even our picky eaters will eat what is on the table. Menu planned using seasonal fruits and vegetables to help us save at the grocery store. Recipes created using high quality whole foods….meaning way less packaged foods to rack up our grocery bill and the pounds. Weekly videos to show us how to prep our food as soon as we get home from shopping. This makes it easier and quicker to cook, when the time comes. Ability to store our favorite recipes in a Personal Recipe Box. I took the leap and purchased the Premium Yearly Membership. I was a bit hesitant to shell out our hard-earned money with some company I had never heard of before, but I really liked what I saw and decided it was worth the risk. I am SO glad that I jumped in with both feet. Since using this service I have seen so many benefits for our family. The meals only take about 20 minutes to put together, so I have more time to spend with my family, instead of standing in the kitchen. Our school lunches have taken a HUGE turn for the better. If you missed my post on that, check it out at Homeschool Lunches Made Easy. We are all full so much longer, which equals less snacking and for myself some weight loss. Our fridge and cupboard is filled with whole foods instead of lots of processed bottled and boxed items. The meals I plan are actually being eaten. Almost everything I have planned out and cooked, everyone has loved. We all are eating way more vegetables and fruits. Some very creatively placed in the recipes so no-one knows they are there. I feel accomplished as a Mom. With having ADHD, anything that gives me an achievable plan that works, puts a huge smile on my face. There aren’t many services that deliver what they promise, and also change lives for the better. Super Healthy Kids is one of those amazing companies! There aren’t many services that deliver what they promise, and also change lives for the better. Super Healthy Kids is one of those amazing companies! Sure going with this service is going to cost you some money, however the benefits far outweigh the initial cost investment. 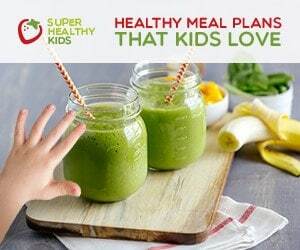 If you are looking for a plan that will help you as a mom save time, and help your family eat better, I highly recommend you take a look at Super Healthy Kids. Go ahead and click the picture below to learn more. You won’t regret it. I know we haven’t!